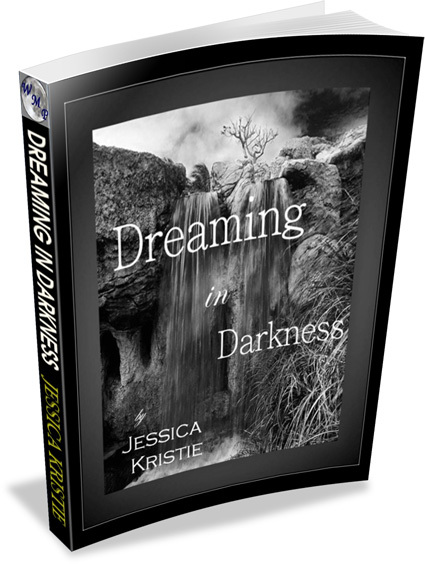 My poetry compilation Dreaming in Darkness is being released March 2011. The book will be available in ebook and paperback and published through Willow Moon Publishing. Below is a list of the places I have been featured or mentioned. I will also keep a list of current book signings and PR once the book is available. The very amazing and talented @soulverbs wrote this gorgeous poem for me. I am honored. Check out my interview at The Dark Press here from December 13, 2010. On November 26, 2010 I was featured at One Stop Poetry. It was an honor to do an interview and post a few of my works. One Stop Poetry is a encouraging community for artists and is run by a wonderful group of people. My poem Tragedy’s Room written for a friend of mine Josepf Haslam (@Josepf) during a tough time can be found HERE along with his story. I feel honored to me mentioned in the the wonderful book “I Could Tell You Stories” by: Rebecca Tsaros Dickson. You can purchase her book HERE. Beautiful Jess!!!! So exciting, and as you know, I am here to help support, and also have figured out “Page” resources on my blog, LOL! 😉 Would like to have you there!!! ~April *hugs dear friend! Wonderful!!! Thank you sweetie! I always appreciate your love and support. How ever you want to help is ok with me. 🙂 Love & Hugs! Thank you, I appreciate your kind words and support!